Like most of the charts/tables I've been doing this month, I don't see this as much of an end-all-be-all to randomly determining a library. Instead, I see it as as a set of d30 tables meant to start the juices flowing in adding color to that encounter area. Aw, c'mon. You know that more adventures than you care to mention have a library (or at least should have a library). 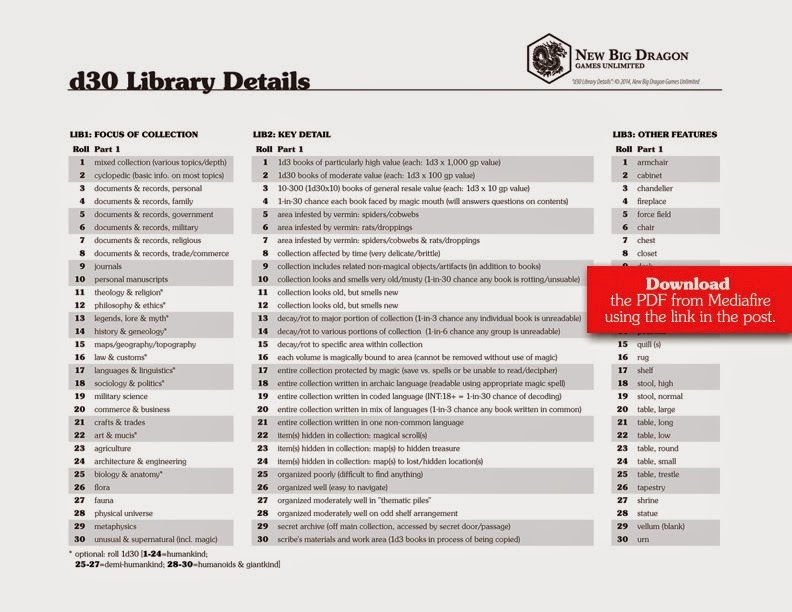 d30 Library Details page from MediaFire.